Researchers went way beyond obesity rates when they sized up residents across the U.S.
October 3, 2014, 11:10 a.m.
Are your friends and neighbors incredibly healthy? If you live in Hawaii, it's more likely that your neighbors (and you) will be ridiculously fit. 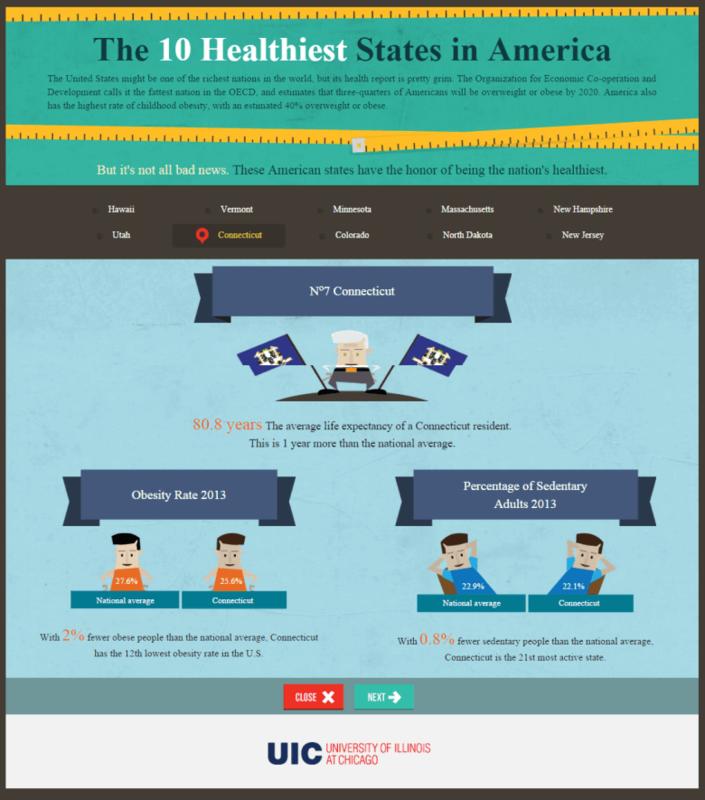 What makes people from one state healthier than those from another? Researchers at the University of Illinois at Chicago used a variety of factors, namely obesity rates, smoking rates, health coverage, work environments and health behaviors to put together their top 10 list. What's interesting is that the team went beyond standard health data to look into the lifestyles and accessibility of healthy habits in each state. With obesity, for instance, the researchers looked not only at each state's obesity rate, but also at each adult's average activity level. Notice that in Hawaii, only 18.7 percent of adults are considered sedentary compared to the national average of 22.9 percent. Researchers also looked at life expectancy, percentage of smokers, percentage of adults with health coverage, as well as each state's ranking in the 2014 America's Brain Health Index — an index that measured everything from fish consumption to Alzheimer's disease risk to the number of active readers in the state. Surprisingly, health-conscious California did not make the cut, while other states not as well-known for their healthy habits — such as North Dakota and New Jersey — did.